Did your Donegal Love Story begin with a wedding at The Central Hotel? If you celebrated your marriage at this Donegal Town hotel in the years gone by, you are invited to a truly unique celebration of romance this summer. The Central Hotel Donegal Town are inviting every couple who ever had their wedding party at the hotel to attend a Vintage Wedding Celebration this June 2nd. The Central Hotel has had a life-long tradition of sharing in the happiness of their wedding couples over the last 50 years. Throughout the decades, the hotel has been known as ‘THE’ place to get married. 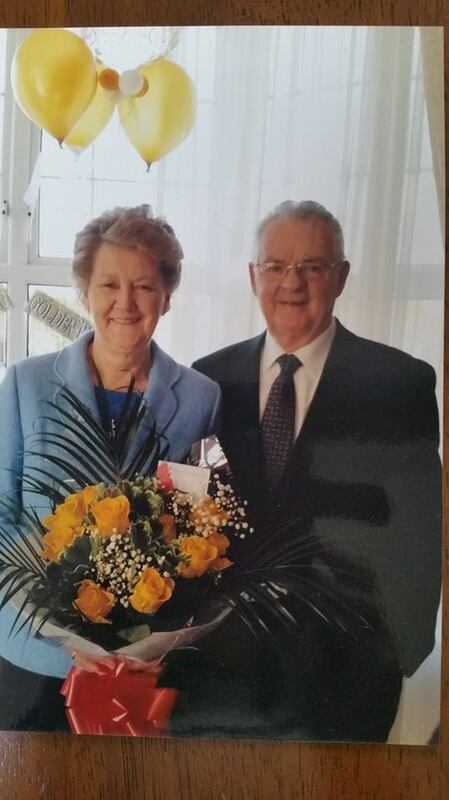 This year, they want to celebrate that “Donegal Love Story” by bringing together and celebrating the love stories of these couples at a very special celebration event on Saturday June 2nd of the June bank holiday weekend. Couples will relive the magic and anniversaries of their special day with family and friends at the Central Hotel Vintage Wedding Celebration event complete with midsummer’s evening buffet banquet and Summer punch reception served on arrival on the red carpet. The night will include a traditional knees-up with dancing to a local wedding band and a Donegal Love Story Wedding Exhibition will also be on display. The enjoyable event is set to be a modern day twist on a vintage theme. The Central Hotel is subsidising this celebration evening and tickets will be available at the greatly reduced rate of only €25 per person. 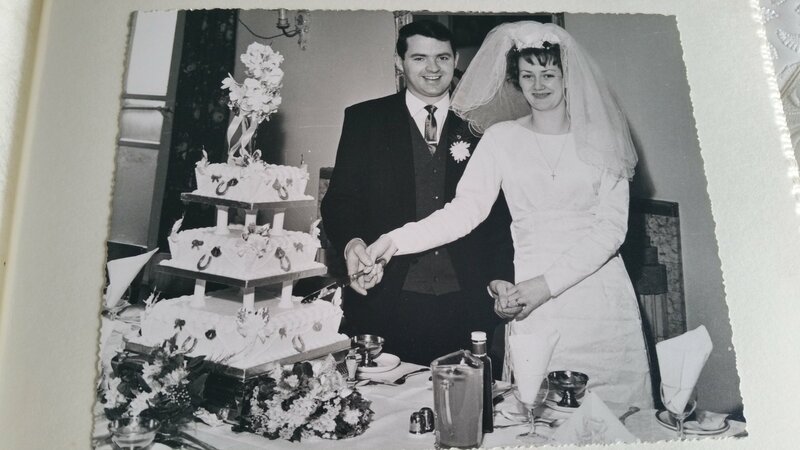 The unique Donegal Love Story exhibition will feature a collection of treasured wedding artefacts from couples such as wedding dresses, photographs and other mementos on display, creating a time capsule of love stories and bringing precious memories to life. This exhibition will also be open all day on the Saturday for all the families to come and view. The Central Hotel Wedding team are now on a mission to find all these couples to celebrate with and to borrow these treasured mementos for the weekend. Hiding in attics across the north west and beyond are videos and faded photos of adoring couples with dodgy hairstyles that deserve to be displayed. The team are inviting everyone to look back and celebrate those happy occasions once more. Whether you are celebrating one, ten or fifty years of marriage, the Central Hotel invites you to mark the occasion on Saturday June 2nd with this first of its kind event. Evelyn Mc Glynn who is heading up this project for the hotel, celebrated her wedding day in the Central Hotel Donegal town on the June bank holiday weekend in 1987 and approached hotel Sales & Marketing Manager Elaine McInaw with this unique Donegal Love Story concept. There will be some amazing prizes for many of the Donegal Love Story brides and grooms. Every couple celebrating their golden 50th year anniversary will receive a complimentary overnight stay in the hotel’s Honeymoon Suite overlooking Donegal Bay with other prizes including vintage afternoon tea and romantic dinner for two in Chapman’s Restaurant. Each couple will also take home a commemorative certificate honouring their special day and lasting love. Group table bookings are available to ensure family and friends can join for the festivities. If you would like to have your wedding mementos included in this special exhibition please contact Elaine McInaw in the Central Hotel. All items will be taken care of, secured and returned after the weekend in June. Calling all couples: Would you like to share your REAL wedding stories?